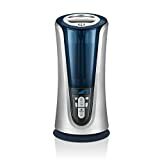 WARM AND COOL MISTING OPTION: The Ultrasonic Tower Humidifier by HoMedics features a warm and cool misting option. 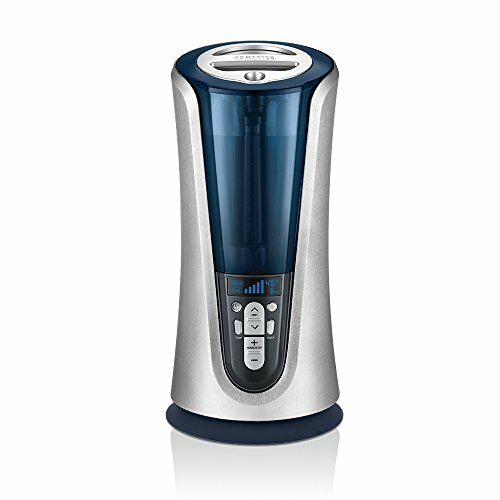 Humidify your room with a cooling mist during hot summer months or a warming misting during cold winter months. View the LCD display to even see the temperature of the mist that is being output! Adjust the intensity of the mist with the easy-to-use control buttons. Its hefty 1.5 Gallon Tank has a runtime of up to 65 hours!